Immersible Ultrasonic Transducers provide the ultimate in ultrasonic cleaning system design flexibility. These hermetically sealed, modular stainless steel units can be designed into new systems or retrofitted into existing systems to add ultrasonic capability. The number and placement of transducers is selected to give maximum results in any parts cleaning tank with any cleaning load. Available frequencies include 25, 40, 72, 80, 104, 120, 140, 170, 220, and 270 kHz. Immersible ultrasonic transducer units can be side and/or bottom mounted (see diagram below) depending on the tank geometry. In general, side mounting is recommended for tanks where the depth is more than two times the smaller of the length and width dimensions. These "workhorse" units are intended to withstand the abuse unavoidable in a heavy, industrial environment. They are constructed of heavy gauge 316L stainless steel. All joints are full-penetration welded using inert gas techniques in our own facility by experienced craftsmen. Every unit is pre-tested before closure to assure that all transducer elements are performing efficiently. The finished units are function tested in liquid for a minimum of 24 hours before shipping. In addition to flexibility, the modular immersible transducer concept facilitates service. Unlike transducer elements permanently attached to the tank bottom or sides, immersible transducer modules can be replaced in a matter of minutes even without draining the tank (if it is designed without penetration below the liquid level). A selection of mounting schemes allows for nearly any tank configuration. 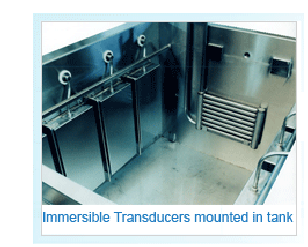 Immersible Ultrasonic Transducers are free standing units. They do not require attachment to the tank (other than to hold them in position) to function efficiently. As a result, transducers can be moved from tank to tank and posi tioned as required for special applications when needed. A large number of transducers used in pre-treatment and plating applications are often rack mounted so that they can be installed and removed as a group to facilitate tank cleaning, inspection and maintenance. Blackstone-NEY Ultrasonics Immersible Ultrasonic Transducers are powered by our own line of ultrasonic generators and can be provided configured to deliver any of the Blackstone-NEY Ultrasonics unique waveform technologies.  These technologies include sweepSONIK, multiSONIK, multiSONIK2 and shieldSONIK with CRAM. Single tanks using more than one immersible transducer and ultrasonic generator benefit from synchronization of the ultrasonic generators. Large numbers of ultrasonic generators are often mounted in a common electrical cabinet mounted as much as 100 feet or more from the tank location if desired. Cabinet cooling using filtered, refrigerated, re-circulated air is recommended in hot, humid, corrosive, dusty or oily locations.For cleaning or other liquid processing applications that require the use of highly corrosive or acidic chemistries, Blackstone~NEY Ultrasonics offers a unique alternative to conventional stainless steel immersible transducers. Constructed of a highly specialized alloy, these transducers are extremely resistant to corrosion, pitting and cavitation erosion.